A big-block beauty from days gone by is about to be reborn. A few years ago, faced with the questionable $50,000 Ford Mustang Shelby GT EcoBoost edition that was more about the Ford Performance catalog than the name's legendary pedigree, we wondered if America had finally reached peak Shelby. It seemed like the brand was well on its way to becoming just another midcentury automotive icon bastardized and appropriated to draw in wide-eyed modern buyers. Well, after back-to-back announcements regarding real-deal continuation Shelby cars going back into limited production runs, it's safe to say that's no longer the case. Last week brought news of Shelby American's plans to build 36 brand-new 1965 Shelby GT350R Mustangs using the very same crew that built the original cars. 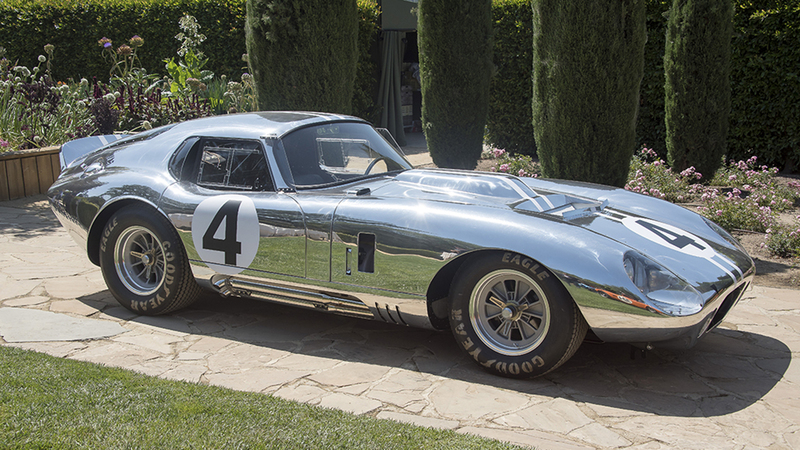 Now the company has announced its intention to revive another gem: the big-block 1964 Shelby Cobra Daytona Coupe. Six brand new cars will be built to the exact specifications of the one and only original. Carroll Shelby skyrocketed to fame in the early 1960s thanks to the bonkers AC/Shelby Cobra and its combination of a tiny British roadster body and a massive Ford V-8 engine. Shelby was first and foremost a racer, and while he was pleased with the car's successes on the track, he also came to understand the aerodynamic limits of the open-cockpit design. Specifically, he was frustrated that the Cobra couldn't crack 160 mph on the famed three-mile-long Mulsanne Straight at Le Mans, while the rival Ferrari 250 GTO could hit 186 mph—a gap that improved handling alone could never cover. 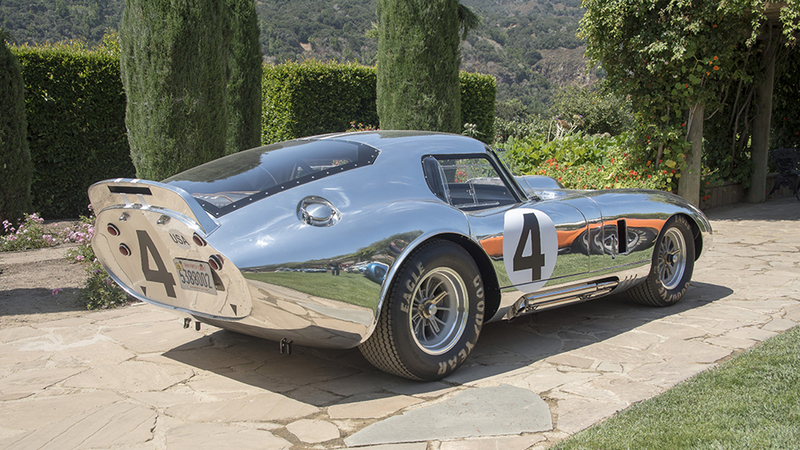 In 1963, with the help of designers Pete Brock and Bob Negstad, the company converted a Mark II Cobra roadster that crashed out of that year's 24 Hours of Le Mans into the very first Shelby Cobra Daytona Coupe, chassis #CSX2287. Early tests at California's Riverside Raceway showed the car easily capable of the target 186 mph, and a further month of development pushed that top speed north of 190 mph. Only six cars were built, but they quickly proved their mettle on the track with a number of endurance wins. Only Carroll Shelby wasn't satisfied. Ahead of the 1964 Le Mans race, he envisioned a "secret weapon" of sorts to truly dominate his European rivals: a new version of the Cobra Daytona Coupe, but this time with a NASCAR-inspired big block 427 cubic inch V-8 engine instead of the standard 289 cubic inch mill. Creating this beast required lengthening the chassis and a few other accommodations, but it was allegedly all worth it. Development driver Bob Bondurant reported the 550-horsepower, 2,200-pound car "went like stink" and could easily top 200 mph. Sadly though, the monster never saw the bright lights of a racetrack. The transport truck carrying the precious cargo crashed on the way to Le Mans, and the ultimate Shelby Cobra Daytona Coupe was too far gone to fix in time for competition. 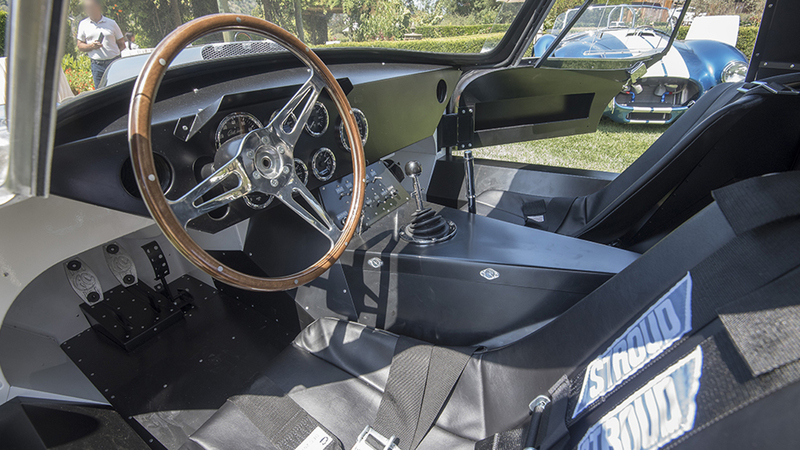 It was converted back to the smaller-engine configuration when it was finally repaired, and a few months later Shelby himself had moved on to lead the Ford GT40 to Le Mans glory. The Daytona Coupe burned briefly and brightly, and then it was gone. So, about these new cars: Just six new big-block Daytona Coupes are being built by Shelby American as official "continuation" cars, each equipped with raw aluminum bodywork, white stripes, and the number four to make them identical to the original. 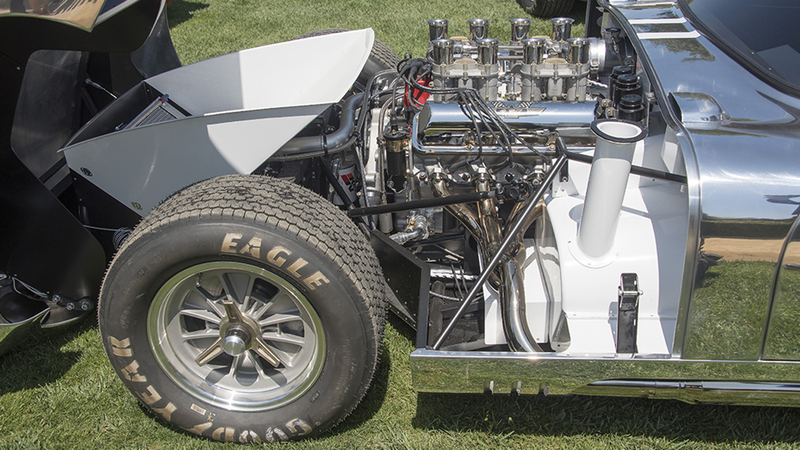 That beefy V-8 engine is tied to a four-speed manual transmission, and they'll all have a unique Shelby chassis number to differentiate them from the countless kit cars and reproductions out there. No price is listed yet for this ultra-exclusive run—but like always, if you have to ask, you probably can't afford it. Whatever they're charging, though, it's hard to imagine it's not worth the money.